Chocolate and Candy Bouquets - FloraDoor is top online florist in Egypt that specializes in getting your flowers to where you need them on time! 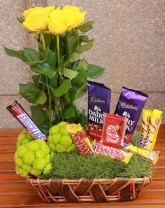 Find delicious Chocolate and Candy Bouquet with Floradoor. 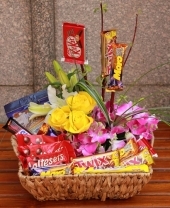 We are your one-stop shop in Egypt for candy bouquets, delicious chocolate gifts, and candy party favors! FloraDoor offers flowers arrangements at every price point. It’s more affordable than ever to reach out to every special person in your life.